I have bought a house in sunny Fl and the pool was a greenish brown murky mess. So i did my research and came across this site (THE BEST, by the way). So I have now treated my pool for 1 week now (testing, shocking, testing, shocking....) all the levels are correct (as per this site suggestions). My pool is now a cloudy aqua blue color and is not clearing up at all. The pressure on the filter is around 18psi, and I have cleaned it twice (both times there was a grey scaly substance removed). How long before my Oasis appears? I have a cartage filter and pump is running 24/7. Is there any way to speed this process up? First, let's see if we can get this moved to a new thread. Can you give us the test data and all the pool specs as well. You can go to the top left and at the User Control Panel, you can go to Profile and Edit your Signature to show everything you can about the pool equipment. Knowing your location is good too, since there may be specifics about your state or city that are important. Meanwhile, cleaning the filter is a good thing. I do not know if the filter you have is right sized for your pool and pump, maybe someone can help look at that. 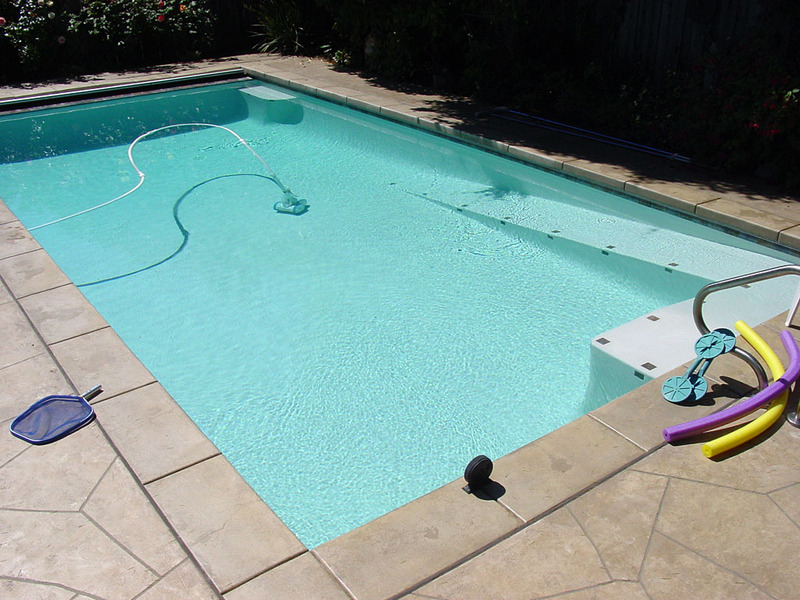 Some above ground pools are known to have puny filtration and so patience is needed. It may be that something like flocculant or clarifier could help but I have no experience with those so let's wait for someone who does to comment on that. We could employee some creative engineering to enable you to vacuum to waste, that would help some. Basically you need to keep running the filter 24/7 and cleaning it as needed. This is where you open up some pop (pool owner patience) and wait. It can take a little time for all the gunk to filter out. Flocculent and clarifiers are pretty hit and miss as far as clearing a pool goes. My pool is now a cloudy aqua blue color and is not clearing up at all. 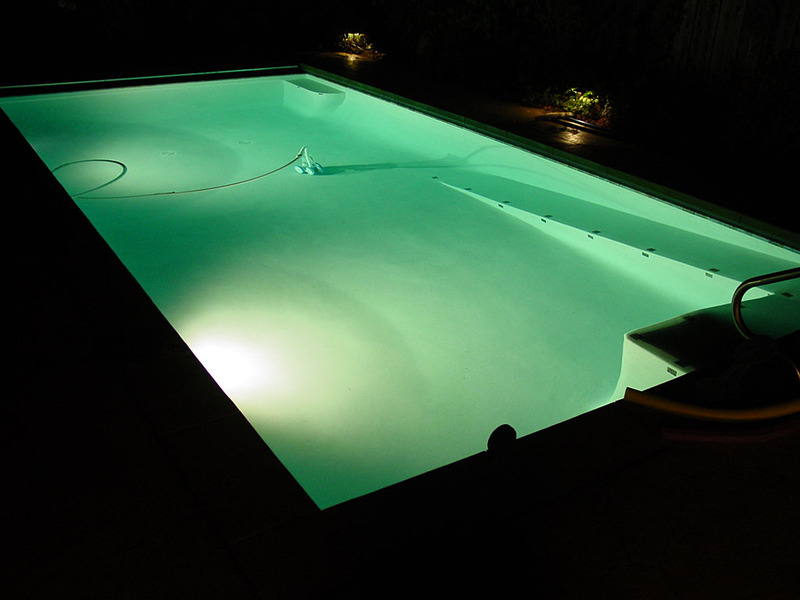 There's a really good chance you need some more chlorine in your pool to finish the job. Naturally, you need to keep running the filter. Can you post test results? How long has your pool been the cloudy blue color? Are you seeing improvement, even if it's slow? Still no change in the color or clarity of the pool. I can barely see the 3rd step in the swallow end. Should i shut the skimmer off and only braw from the main drain? 99% of the folks new to this do not keep the chlorine high enough long enough to complete the shock process. It's not clear to me why you let your FC go below shock level. Post that answer back and we'll get you started back to getting your pool clear. Hi again! You need to hold the pool at shock level until you pass the overnight loss test. Please read shocking your pool and defeating algae for more information. OK i now have passed the overnight test. The pool is still aqua blue and cloudy. Any suggestions? Richard320, what would you like pictures of? How large is your filter? Have you cleaned it again recently? Do you have a second cartridge you can rotate (clean one while the other filters)? Have you done a tsp soak to deep clean the cartridge? We shoulda had one of the brown murky mess...then one every few days to chart the progress...and the final showing the sparkling clear water. Though phosphates (and nitrates) are nutrients for algae, chlorine alone can kill algae faster than it can grow regardless of the nutrient level. I've had over 3000 ppb phosphates in my pool and prevented algae growth from chlorine alone, but one must have an appropriate Free Chlorine (FC) level relative to the Cyanuric Acid (CYA) level. Also, enzymes are very useful in high bather load environments as supplemental oxidizers (such as for commercial/public pools), just as ozone and UV and non-chlorine shock (MPS) can be helpful in such environments, but in residential outdoor pools the bather load is so low as for such products to not be necessary. You can, of course, spend more money on products to do some things faster, but the main principles on this site are to add the minimum necessary and to maintain pools to prevent such problems in the first place. You can take a look at the Pool School for more info. Also, with regard to Orenda's products, both phosphate removers and enzyme products, I met Harold Evans who now owns Orenda and we did an experiment on my pool with his products a few months ago in June (he gave me the products free to try). I write about this in this thread in The Deep End, but the bottom line is that he rarely sees a pool in as good shape as mine (see here and here) and his enzymes didn't react very much in the pool (which was unusual for what he normally sees) and neither the phosphate reduction nor the enzymes resulted in any lowering of chlorine demand or change in water quality (also unusual for what he normally sees). As for the particular pool in this thread, if the person is impatient with clearing, a polymeric clarifier can be used to speed up clearing. The phosphate remover treatment from Orenda totally clouded up my pool when added (I have a cartridge filter as well) and I needed it clear the next day so I used an old clarifier I had and it worked like a champ. For something like precipitated lanthanum phosphate, chlorine isn't going to get rid of it and it can take quite a while to consolidate in a filter.